In February 2018, Arlyn Rull was named Chief of Staff and Senior Policy Advisor for the Miami-Dade Aviation Department. In her post, Ms. Rull is responsible for assisting the Aviation Director with directing all administrative, financial and operational activities for the department. Along with these responsibilities, Rull manages long-term special projects for the Aviation Director and helps to shape departmental policies. Additionally, she oversees MDAD’s Communications and Digital Marketing, Fine Arts and Cultural Affairs, Intergovernmental Affairs, Professional Compliance, and Protocol and International Affairs divisions. She was previously the Assistant Director of Intergovernmental and Internal Operations at the Miami-Dade Water and Sewer Department (WASD), where she was responsible for the procurement of goods and services, construction contracts and professional services agreements to support the utility’s daily operations and its multi-billion dollar capital plan. She also oversaw WASD’s Security and Communications, Legislative and Intergovernmental Affairs, Real Estate, and Public Affairs and Constituent Services divisions. Prior to joining WASD, she was an Intergovernmental Affairs Coordinator for the Internal Services Department – a position she rose into from the Procurement Contracting Agent role that brought her into Miami-Dade County. Before beginning County service in 2007, Rull worked in the private sector, where she gained experience in procurement, contract negotiation, construction and marketing. 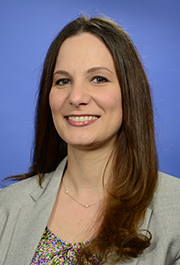 Ms. Rull earned a bachelor’s degree in English at Florida International University and holds an associate’s degree in journalism and mass communication from Miami Dade College.